I am an experienced web developer and database administrator with a proven history of designing, developing and supporting multiple, time–sensitive projects, both independently and as part of a team. The work presented below is only a sample of my more recent projects. 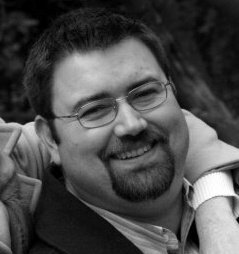 I have been doing web development for close to 10 years, and writing code for more than 15 years. Enjoy! 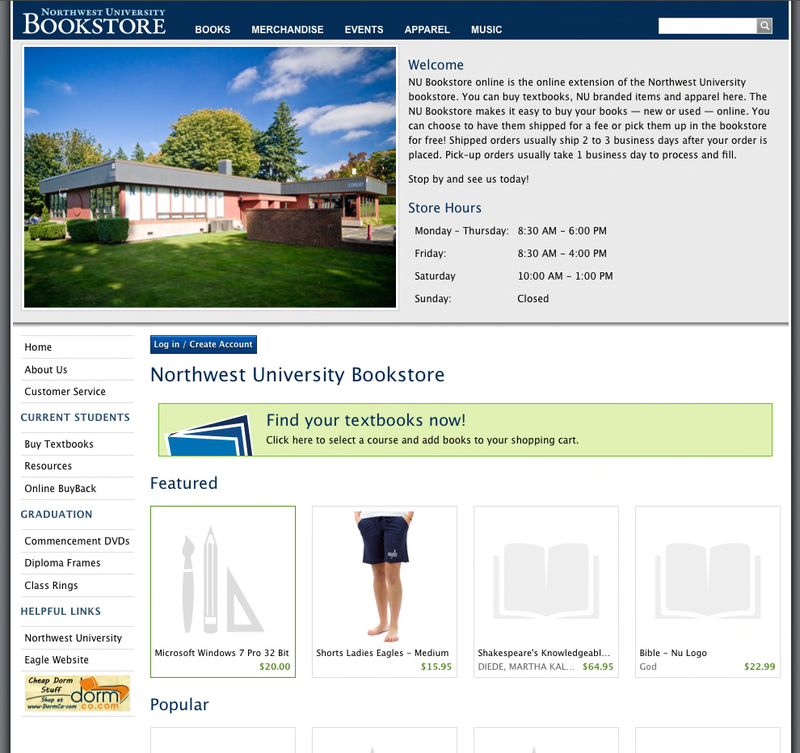 The very first project I was tasked with starting at Northwest University was the creation of a custom bookstore website. 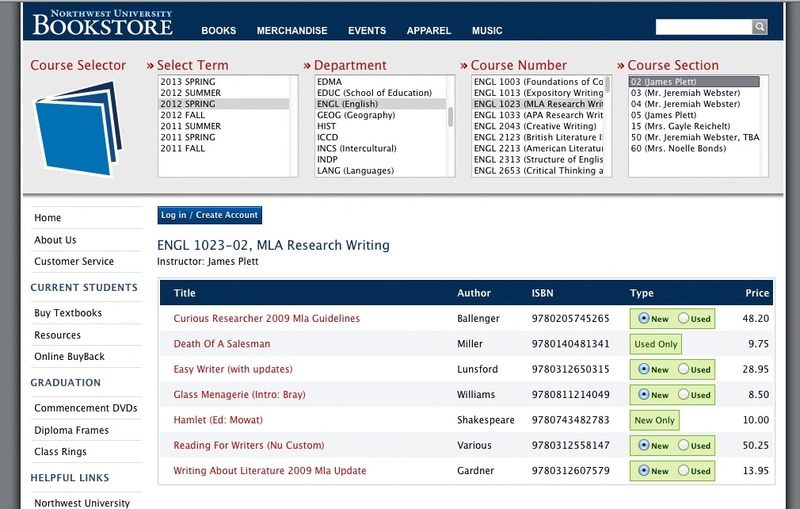 It needed to serve our students on and off campus, and it needed to use the Miscrosoft Dynamics POS database as its backend storage. We also needed to give students the smoothest possible experience of purchasing books for the coming semester's courses. 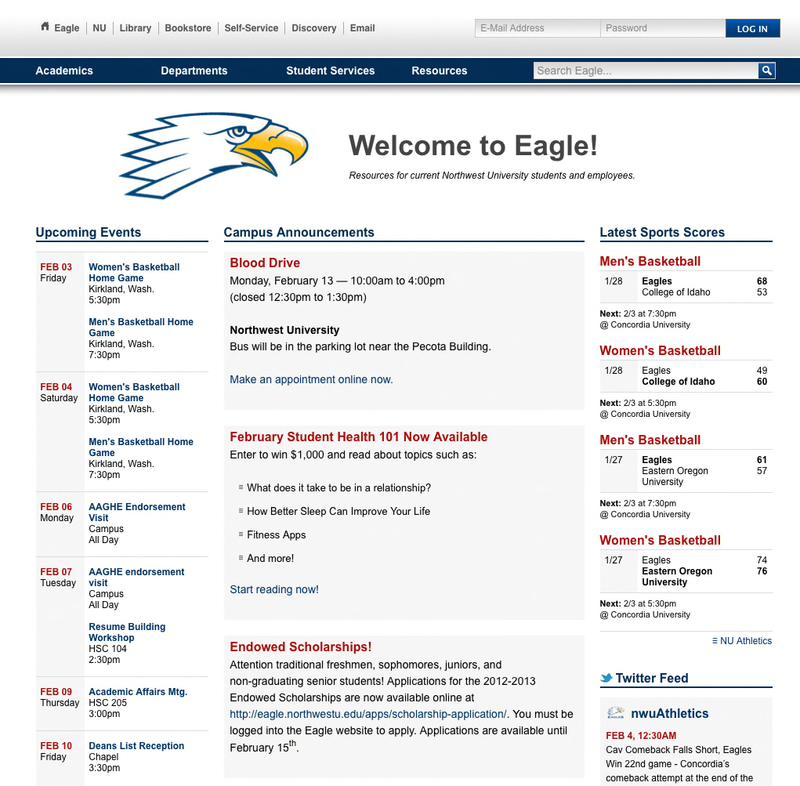 The Eagle intranet site at Northwest University serves both students and employees in their day to day informational needs, from requesting a parking permit, and the management of those permits, finding a part time job, to finding out what's going on with campus life. 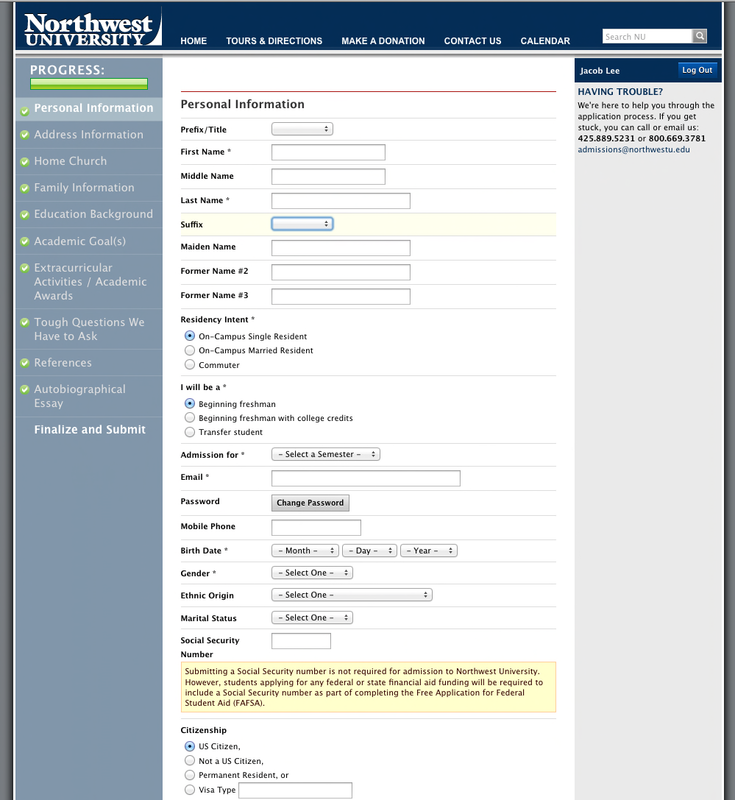 The Northwest University online application process was pre-existing code that needed to be rewritten with all the various admissions applications in mind. The existing code was only targeted at students seeking traditional undergraduate enrollment. My work made this application customized for existing traditional enrollment, as well as the non-traditional program LEAP and the University's various graduate programs (each of these groups having special needs based on the intended degree).